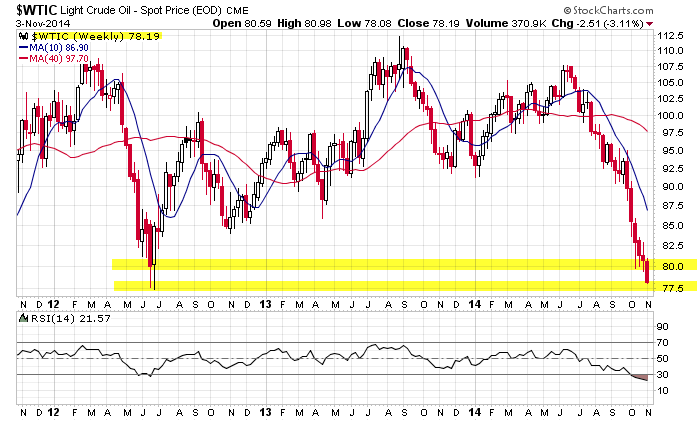 Chart for West Texas Intermediate showing the intermediate downtrend and the major break below support of 80. There is a tentative support level on the weekly chart around 77.50. Reference the last chart analysis for WTI published on October 17, 2014. 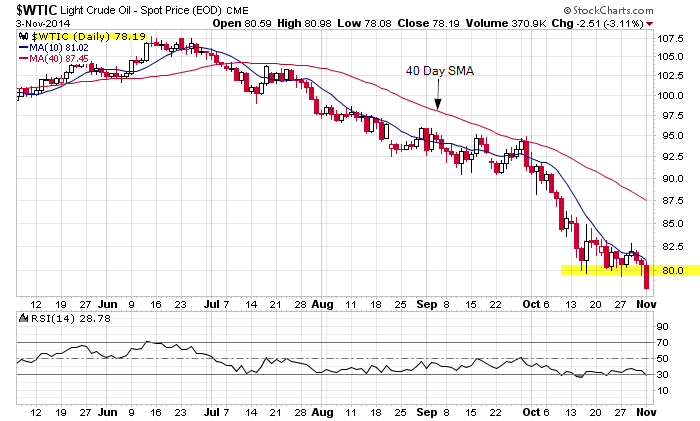 October 17, 2014: Daily candlestick chart for WTI showing the support level around 80. There was heavy volume on Thursday as the shorts covered. But the spinning top candlestick on Friday indicates ambivalence. It is not the time to go long or short. We will have to monitor future price action. There is a high probability the bears will take another run at testing the support level. This entry was posted in U.S. Indexes and tagged chart, intermediate trend, WTI on November 3, 2014 by Trader.